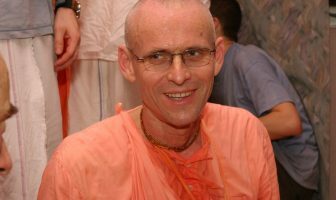 I remember, one year I was with Sacinandana Maharaj and a whole group of devotees on a boat, sailing in Danish waters. Maharaj gave this seminar about Krsna’s sweetness. 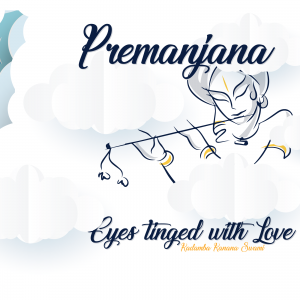 It was all about Krsna being so sweet, looks so sweet… and this sweet and that sweet… and at one point, it just got too sweet for me. 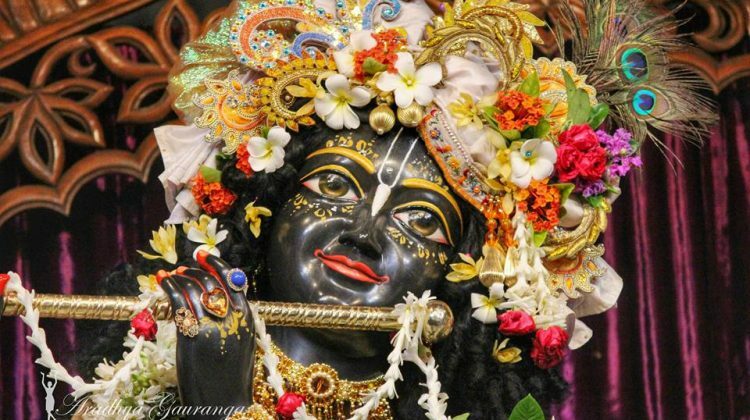 So I asked him, how is Krsna so sweet? I remember that he rolled-up the sleeves of his sweater and he even loosened his scarf. He was getting serious and philosophically explained how even this is sweet, bitter sweet! 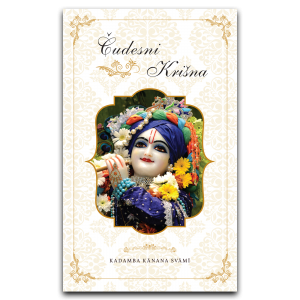 Because ultimately, the sweetness of Krsna means that Krsna will leave no stone unturned. 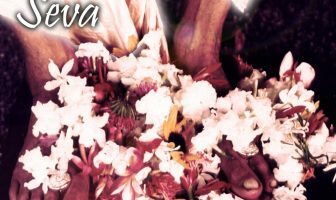 Krsna is not a passive Lord who is just seated on a throne, accepting our offerings – another golden plate with beautiful fruits, “Bless, bless…” No. That is not Krsna. Krsna is the one who, out of his sweetness, is destroying our material life. As death he destroys everything. He acts as a destroyer – very sweet. Simply because Krsna cannot wait. And here we are, trying hard but why is it that Krsna’s put sand in the sweet rice? It is not fair! Why did he put suffering in the material energy, just when we are enjoying. Why did he not give us independence to enjoy when we wanted to? 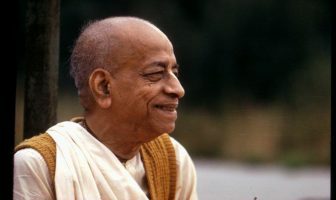 Why did he have to create suffering in the material world, active suffering? 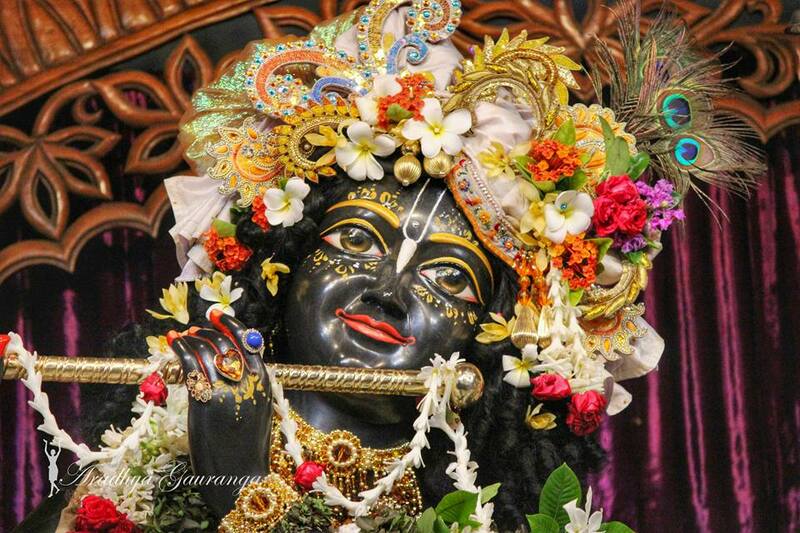 That is Krsna’s sweetness. It shows how deep Krsna’s love is. He cannot tolerate it. Krsna is like a parent who has a rebellious son that says, “It is my life! I’ll do what I want and I’m leaving home,” and he goes in the wrong direction, with the wrong friends. The parents say, “Yes, we let you free to do whatever you want,” but meanwhile, they are making all kinds of plans how to spoil his so called freedom so that he would learn a lesson and come back home soon because they are suffering. So, actually, it shows that Krsna is suffering. It is not we who are suffering. No, it is Krsna who is suffering. Here, the Lord, who is the complete enjoyer, feels incomplete. When there is still one living being in the material world, even although there is an ocean of transcendental nectar which is eternally increasing, it is still incomplete.